Storing images in your camera is only meant to be temporary. If you want to make any edits, prints, share the images or just make room for new ones, you will need to download to the computer. Each transfer method has its advantages and disadvantages which will explore in more details below but all transfer methods are affected by the size of the image files and the speed of the connection. Memory card readers are usually the fastest way to transfer photos from your camera to your computer especially if you have a large number of images to download. To accomodate the fact that memory cards come in different sizes depending on the camera type/model and may have different connections, many card readers now have a variety of slots making them a good solution if you have several cameras . 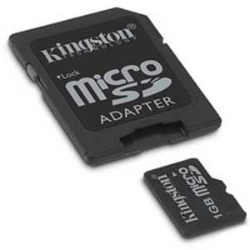 If a memory card is smaller than a slot, you can usually find an adapter that marries the two. 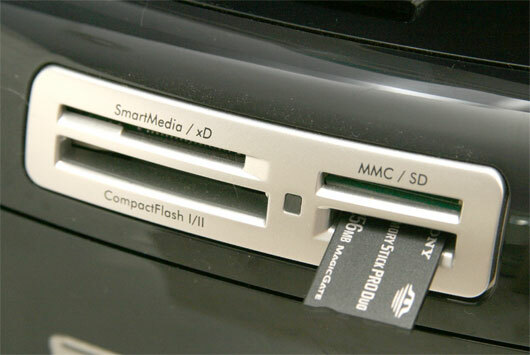 Often the memory card readers will be connected to a computer's USB port. Or some computers, home printers and kiosks at photo stores have memory card slots built into them accepting cards directly from your camera. In the case of printers , this allows you to view and print your images without the need to first download them to a computer. 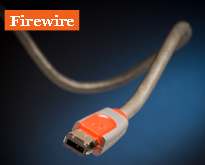 Another popular way to transfer images is via a cable through a Firewire (IEEE 1394) connection or through a USB cable. 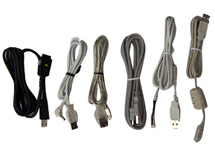 And almost all cameras come with Firewire or USB cable allowing you to connect it to a computer or printer. 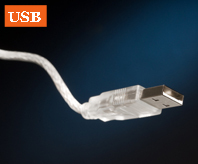 USB cables have a standard plug at the computer end but those on the camera end are not standardized and thus are not interchangeable among different cameras. 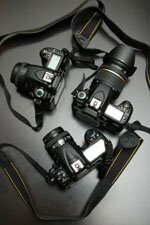 Be sure to refer to your camera equipment manuals for more detailed information. And remember the important last step of the image transfer process both Mac and Windows platforms is to ensure that the memory card or camera is correctly disconnected from the system. 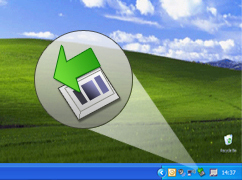 Macintosh users will need to drag the card or camera volume to the Trashbasket or Eject icon. Infrared connects line-of-sight devices where the infrared beam is not blocked. WiFi connects to wireless printers, kiosks and WiFi networks like those in home networks and public hot spots. 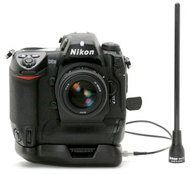 It is built into some cameras and can be purchased separately for others. Bluetooth connects to nearby devices such as printers and kiosks. Many camera phones come equipped with Bluetooth so it is easy to print images at kiosks.